To be honest, the only reason I started this book was because I was EXTREMELY bored of reading and watching contemporary romances. I’m naturally drawn toward the supernatural romances, and so several months of nothing but contemporary and historical romance kept me away from reading for a while. But what better way to break that reading fast than to read a vampire romance? When I first started the book, I was completely engaged . A girl waking up in a tub amidst the dead bodies of her school mates? Yes! Then when we meet the only survivors, Tana’s douchey ex-boyfriend Aidan and the mysterious vampire, Gavriel, I’m only more excited. Naturally, I was leaning toward the vamp from the very beginning. As I went on reading however, I became less and less interested. I liked the romantic moments between Lana and Gavriel, and all the clues pointing us toward Gavriel’s actual identity were things I always paid attention to. But realizing that Lana was going to be stuck in Coldtown for a large part of the novel was a bit of a turn-off for me. I tend to prefer adventure-type novels more than the stay-in-one-city type. More suspense I guess. But while the plot was lacking, the purpose was…interesting. Apparently, Holly wrote this book as a sort of love letter to all the vampire books she’d read over and over again as a child. 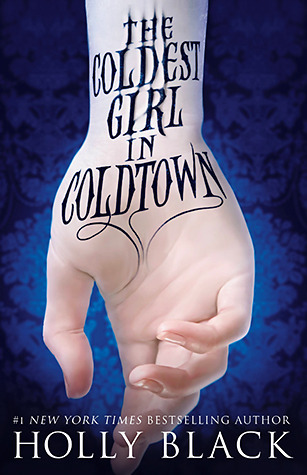 When I finished reading ‘The Coldest Girl in Coldtown’, I felt like there wasn’t much purpose to what I’d just read, though the ending was quite romantic. Then however I stumbled upon the reason the novel was written in the acknowledgements, and I kind of grew teary eyed at the wonderful dedication. I did kind of bother me that the ending, which just happened to be creepy – let’s just say it had something to do with hunting vampires and drinking their blood; and killing everyone in the world – could be so romantic, considering. Or maybe it’s not romantic at all and our young adult minds are just seriously messed up. The people within—Valentina, the dark-haired girl, and most of the others—were huddled together on the far side. Valentina took a half step toward her and then shrank back again, her courage failing. Tana reached up a sticky hand to touch her face. It was coated with blood, making a half mask. She must look awful. An animal-girl. But then Valentina did come forward, walking to the bars, widening her eyes and jerking her chin. It was a subtle but clear signal. Look over there, it said. Tana turned toward the shadows and saw the shine of eyes. She stumbled back, reaching again for the slippery handle of the screwdriver, before she saw it was Gavriel. He was sitting on the floor, legs crossed. She had no idea how long he’d been sitting there, but at her astonished look he raised both eyebrows. An amused smile pulled at his lips. “I’m a very bad host, forcing you to throw together supper for yourself,” he said, finally. ‘The Coldest Girl in Coldtown’ is an interesting take on the vampires that the world has romanticized. The idea behind the story and the setting I found myself in while reading was original, but not quite what I was looking for. In addition, the plot revolved too much around Gavriel’s identity rather than the fact that vampires came out of hiding and are stuck in struggling camps with humans. Personally, I think that the latter is a more important topic worth focusing on. The novel is by no means bad, but not something to pick up if you’re looking for heroics and an adventure. I am so curious about this book – my Goodreads friends are all over the map with it – tons of people loved it, some people hated it, many were ambivalent… I really loved your review though, because it just spurred my curiosity! I tend to like the more character-focused books, so this might be up my alley – and the ending has me intrigued! *sigh* I really need to read this. Excellent review!! Thanks! I’ve only seen pretty positive reviews of this book (not that I looked that hard) so the fact that you’ve read reviews that are all over the place comes as a pretty big surprise. If you do end up reading the book though, I hope you have better luck with it than I did!